Meghan Markle's remarks during a 2014 interview with Ivanka Trump have resurfaced and are going viral. In the "TIG Talk" interview, Markle wrote about her apparent adoration of Ivanka Trump and her desire to learn from the senior aide to President Trump. "Staggeringly beautiful, no question, but so incredibly savvy and intelligent that she's not just carved a niche for herself under her father's famed Trump notoriety, she has undoubtedly created her own empire," Markle wrote of Trump at the time. "It's so easy to knock the girls who come from privilege – to assume they rested on their laurels and garnered accolades simply by being fancy from the womb. 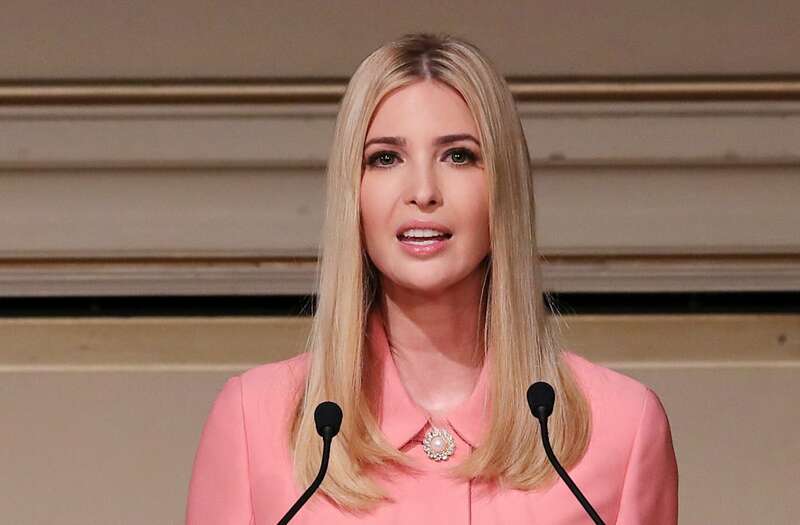 But I always remember Ivanka being different." Markle gave praise to Trump for not swearing, "dancing on tables as a teenager," getting DUIs, and instead for receiving a college degree, expanding her father's empire and for building her own. "She does it all," Markle concluded. Though a delightful read for some, many found Markle's comments about the U.S. president's eldest daughter troubling. Markle has a long track record of advocating for feminist rights, and that -- for some -- was reason enough to criticize the soon-to-be royal's speaking favorably of a woman who now serves as an aide in Trump's administration. Famed feminist Gloria Steinham, once compared Ivanka Trump's own "feminist" positions to Nazi policy. In a clip from 1993 that resurfaced this year, an 11-year-old Markle appears on Nickelodeon’s news program Nick News after complaining to Procter & Gamble about the language used in their dish soap commercial. Markle was upset about a line from the ad that stated, "Women are fighting greasy pots and pans." In response to the ad, Markle said during the broadcast: "I don’t think it’s right for kids to grow up thinking these things where just mom does everything. It’s always, 'Mom does this, and mom does that.'" Markle also wrote to the company and implored them to change the phrasing from "women" to "people." After, Procter & Gamble reportedly heeded Markle's advice and applied her suggested wording. Markle reportedly referenced the incident years later at a United Nations Women's' conference in 2015. During that talk, Markle also said: "Women need a seat at the table, they need an invitation to be seated there, and in some cases, where this is not available, they need to create their own table." Though it is unclear if Markle's opinions about Trump have changed, Markle's previous remarks in which she described him as "misogynistic" and "divisive" are no secret. Not to mention the other time she claimed that she would leave America if the American leader was elected.